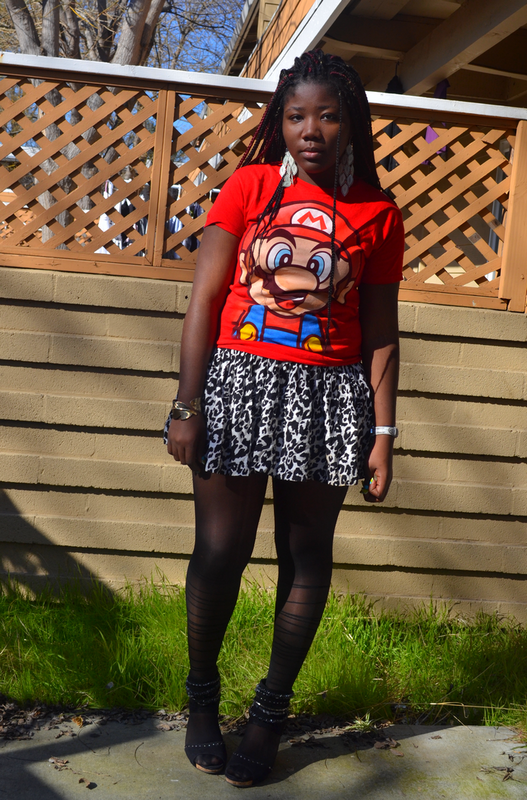 This is what I wore three days ago to school. 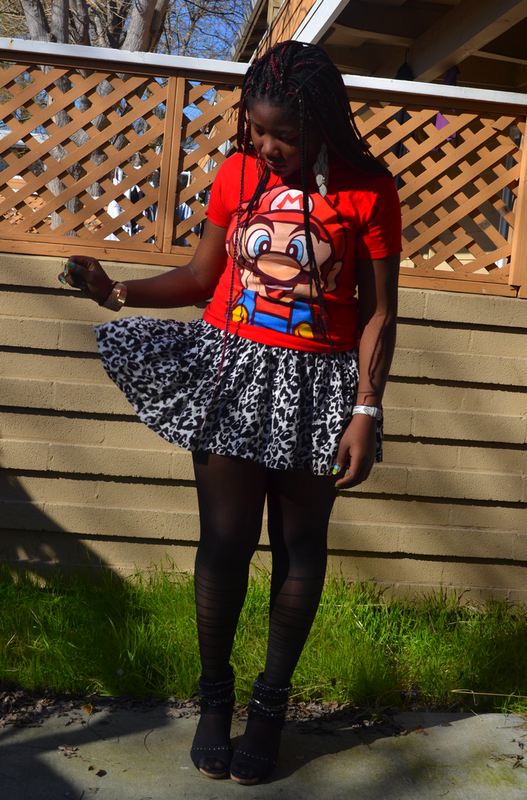 I just love this t-shirt so much, and I wanted to incorporate it in a girly outfit so this is what I came up with. Have a great week-end you guys! C'est la tenue que j'ai porte il y'a trois jours. J'adore ce t-shirt, je voulais l'incorporer a une tenue feminine et c'est le resultat que j'ai eu. Passez un tres bon week-end! "it's me, Mario!" ah, c'est mon personnage préféré! je l'ADORE mon gros moustachu a la casquette rouge!! Rien qu'a cause de lui ton look a un 20/20! ta jupe est trop belle, bisous ;)! wahou ! La jupe est trop jolie ! 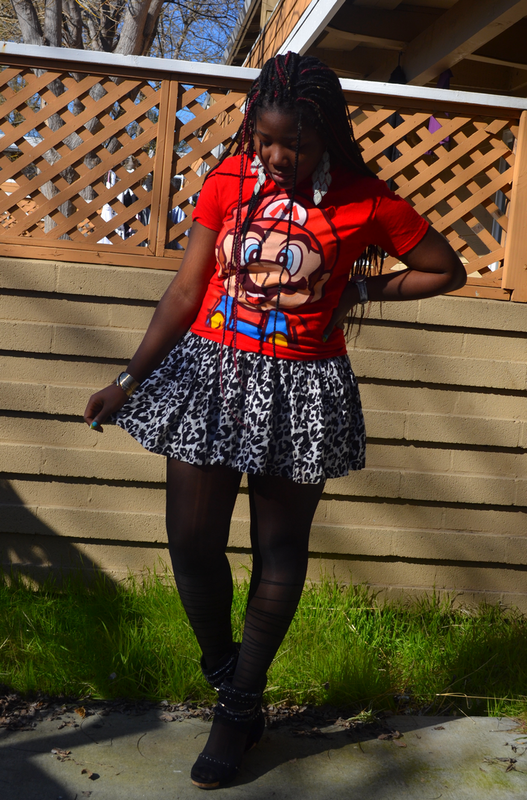 I never would of thought to pair cheetah print and Mario together but it works I love how feminine it is and fun! 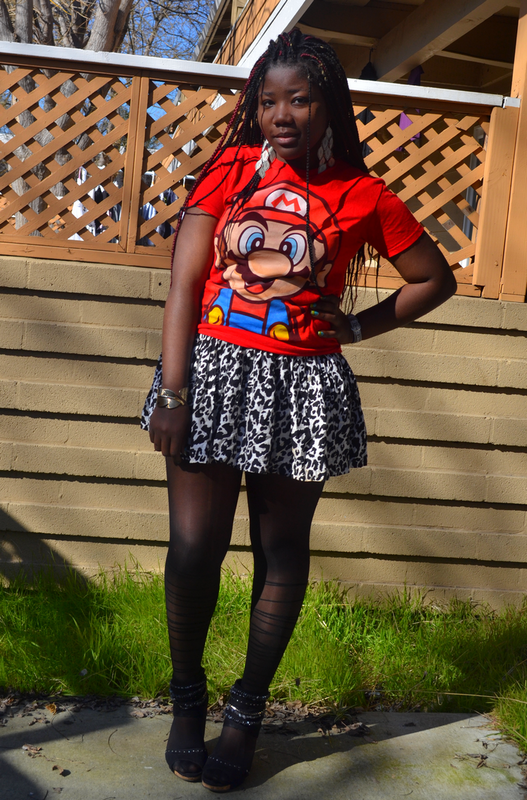 Love this super fun outfit! 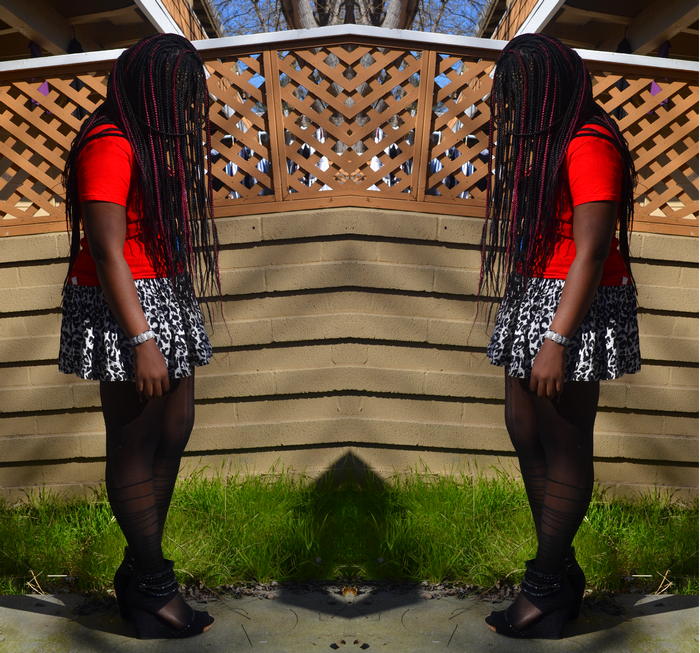 Love ur skirt, I'm so in love with H&M produtcs. Are you kidding? 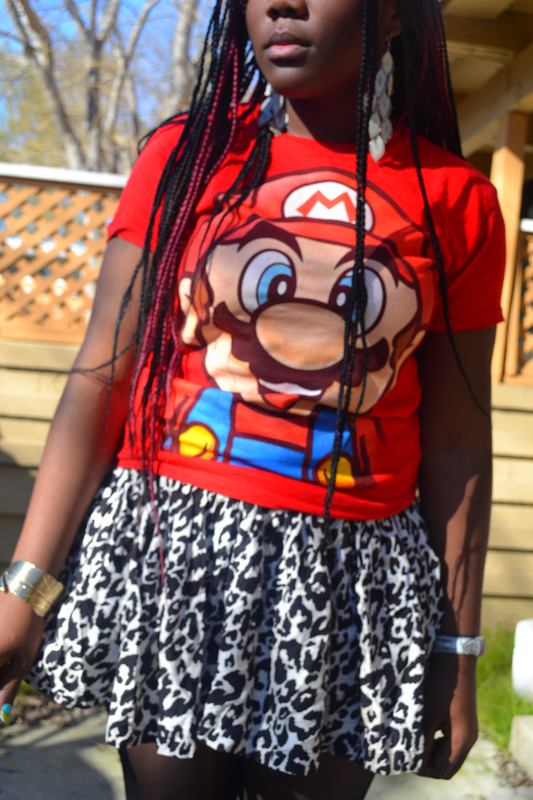 I LOVE that shirt! super duper cute!